Its days of revenue earning service over, Rebuilt Patriot Class 4‑6‑0 45512 Bunsen, in the company of LMS Class 3F ‘Jinty’ 0‑6‑0T 47667, not withdrawn until November 1966 from 10G Skipton, awaits the call to the breaker’s yard at its former home depot of 12A Carlisle (Kingmoor) on 11th June 1965. 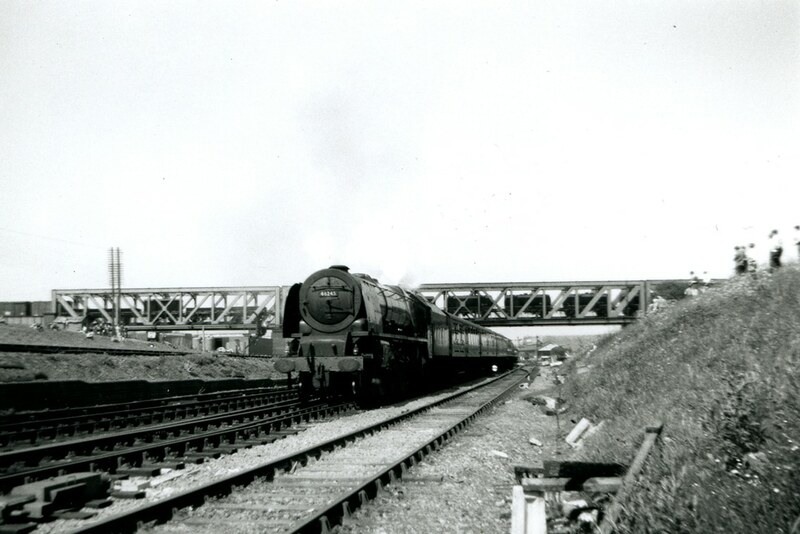 The author had a fine run behind Bunsen from Carlisle (Citadel) to Crewe in September 1959 with an express from Perth (General) hauled to Carlisle (Citadel) by BR Clan Class 4‑6‑2 72003 Clan Fraser. With steam to spare Royal Scot Class 4‑6‑0 46123 Royal Irish Fusilier, from far‑off 12B Carlisle (Upperby), stands on a centre road in the former LNWR side of Birmingham (New Street) with the empty coaching stock of the 6.49am passenger from Crewe on 7th September 1962 three days before the end of the summer service after which the mass slaughter of many types of express passenger locomotives began, 46123 being one of the victims, in November of this year. 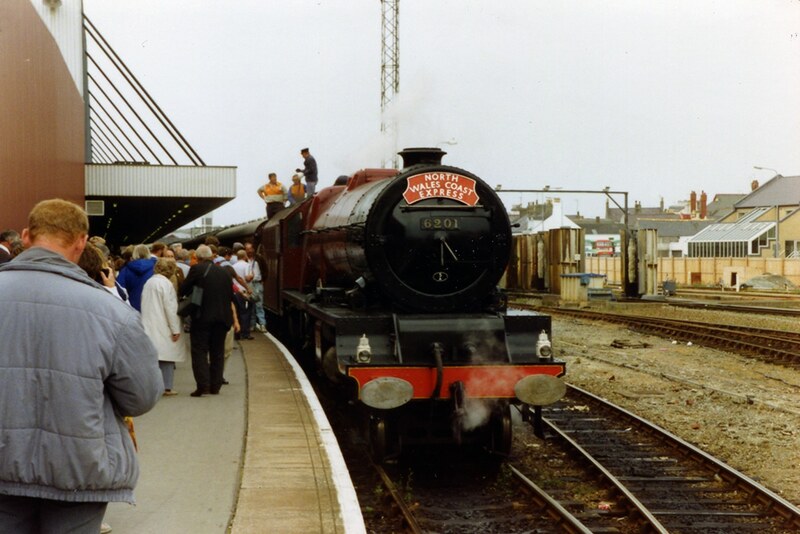 Admirers and photographers alike are in abundance at Holyhead station following the arrival of preserved Princes Class 4‑6‑2 46201 Princess Elizabeth on a special from Crewe on 29th July 1990. 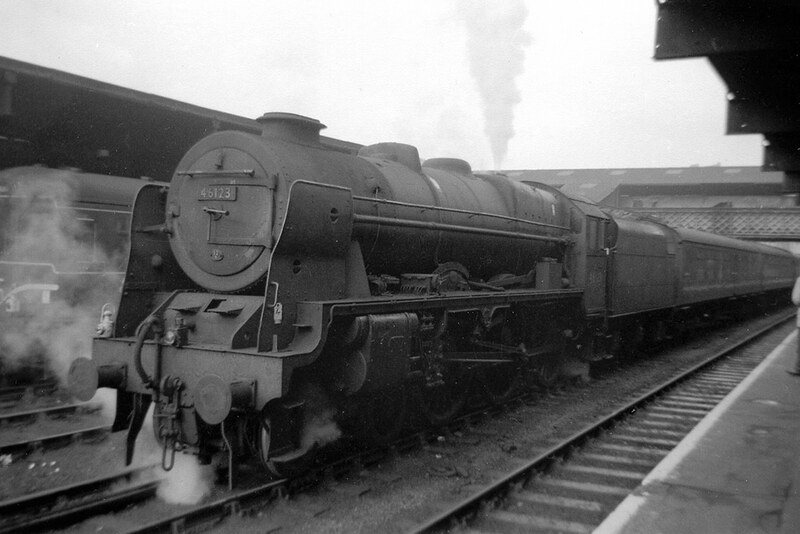 Withdrawn in October 1962, Princess Elizabeth languished in store at Carlisle for many months in the company of the less fortunate 46200 The Princess Royal, which despite rumours of being saved, was eventually disposed of by Connell’s of Coatbridge in late 1964. Looking every inch ex‑works, Coronation Class 4‑6‑2 No 46245 City of London, of 1B Camden, accelerates away from Rugby (Midland) station and passes beneath the famous former Great Central Railway ‘Birdcage’ with a heavy express bound for Euston on a baking hot 1st June 1963. 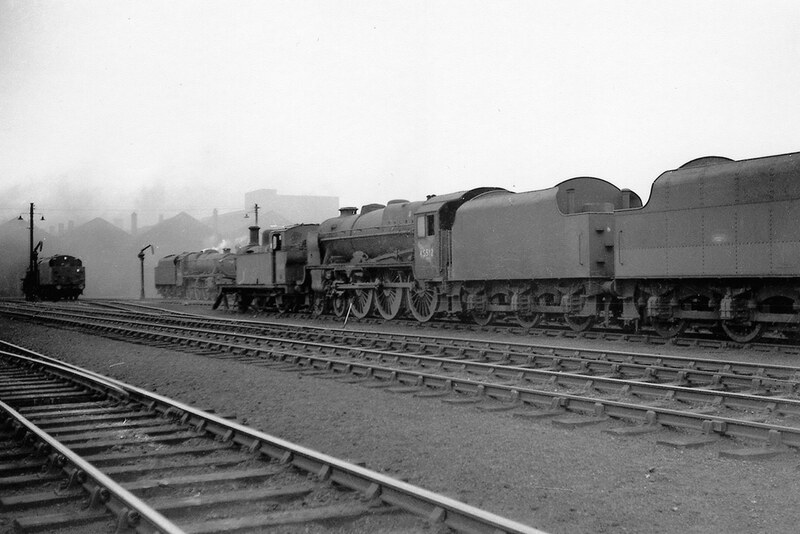 Sister locomotives also recorded on this day on express work were – 46228 Duchess of Rutland, 46233 Duchess of Sutherland, 46251 City of Nottingham and 46256 Sir William A. Stanier F.R.S. There are no known additional amendments or queries with regard to the disposals of the LMS Patriot, Royal Scot, Princess or Coronation Classes of locomotives, but any information to the contrary will be welcomed as would any confirmations or otherwise of verifications required. I hope this streamlining will add to the enjoyment of the existing chronological sequence of events appertaining to WHAT HAPPENED TO STEAM – Volume Seven.